that look great on all devices. and easy for you to use. allows for easy updating and adding of products and order tracking. A Content Management System (CMS) that allows you to quickly build and edit websites without knowing any computer code. Is used by an estimated 25% of websites, even The New York Times are using it! Why using WordPress to build your website is the best solution. Means that once the website is finished, the client can easily make adjustments like add a new page, create a blog post etc without the need of a developer. Open source software, meaning it is constantly updated by the development community and your website will be safe. Has thousands of free and premium plugins, meaning you can easily expand the functionality at the click of a button. Want some social sharing button? No problem, just install a free plugin. Want to collect your users email addresses into MailChimp? No problem, just use a plugin. Can easily change the look and feel of your website by installing a new theme. There are free and premium themes available. What process and experience can you expect from GravIT? The first step in the process is to learn more about you, your company’s mission, and then build a solid working relationship between you and our team. This is where we’ll uncover your brand, put together a custom plan of attack, and set the goals for our project. Our dedicated team will take over and work directly with you through every step of the process to ensure that your project and business goals are met, and that you’re 100% on board along the way. Each project has one point of contact who you will get to know very well over the course of the project, this way your not constantly explaining yourself to someone. Your point of contact becomes an expert regarding your site, it’s functionality, content and it’s goals. Once we’ve learned more about each other, we’ll go through your goals and create an outline for your project, create milestones, and agree on the areas that are most important to you. When we have a strategic plan in place that aligns perfectly with your vision and makes your goals achievable, we’ll begin work, staying completely transparent with you and ensuring that you’re involved in every decision that’s made. We’ll take the outline and then begin putting the project into motion. From visual concepts of the custom project, to the perfect branding images and product or service copywriting, our creative and development team will review the outline materials and revise them until they meet your goals. 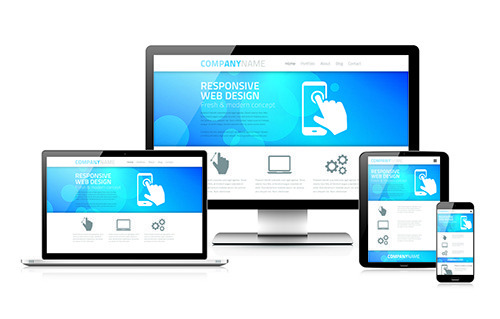 We understand that your website needs to represent your brand, and stay consistent with your business, to represent it in a professional way, because your website is always communicating who you are. Now you’ll begin to see your project grow legs and really start taking off. Our team follows the agile methodology and focuses on iterative development, which happens in small sprints, ranging from 2 to 4 weeks in length. This process allows us to prioritize the requirements we uncovered in the outline, collaborate with you during the development, and continually test to make sure we’ve nailed your vision. Quality control is critical to your success. We refuse to throw your design out into the wild without vigorously testing it in a wide range of environments, to ensure that it functions seamlessly, regardless where your customers come from, or what devices they’re using to find you. This is, arguably, the most crucial step in developing your website because our reputation is your reputation, and we’ll settle for nothing less than the best. Go time! Once you’ve approved the design, and we’ve put it through it’s paces, our creative and development teams revisit the outline to ensure that we’ve nailed every aspect you were looking for, and produced an intelligent design that’s stayed consistent with your brand, and truly represents your business in a professional way. When you’re 100% satisfied with the design, we’ll launch it to the world, and let them know you’ve arrived.